Since 2001, Haymarket Books has published books that challenge the status quo and equip ordinary people with ideas to change the world. This year has seen the growth of an emboldened far right alongside the development of burgeoning movements on the left. The books we publish are contributing to theorizing and organizing against racism, sexism, homophobia and anti-immigrant attacks. Joining the Haymarket Books Club is a great way to support our project of amplifying radical voices. It’s also a great way to fill your shelves with the indispensable books we publish. For $30 per month, this subscription gets you every Haymarket title in both print & ebook formats, plus a 50% discount on *all* Haymarket books titles via our website. For $20 per month, this subscription gets you every Haymarket title released in an electronic format plus a 50% discount on *all* Haymarket books titles via our website. For $25 per month, this subscription gets you every title from the Historical Materialism series plus a 50% discount on *all* Haymarket books titles via our website. For $25 per month, this subscription gets you every title from the Studies in Critical Social Sciences Series series plus a 50% discount on *all* Haymarket books titles via our website. · Print books are mailed out every 4-8 weeks, and ebooks are made available via the "library" page for subscribers as they are released. 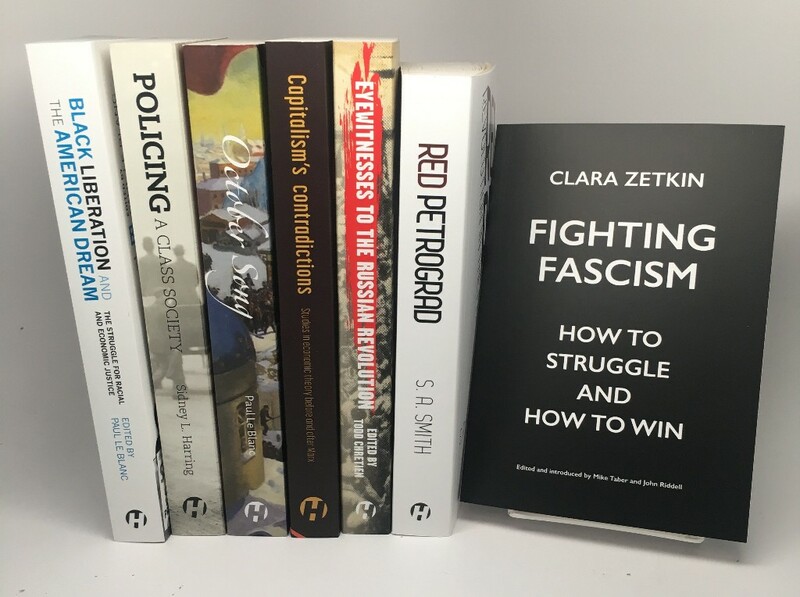 · Historical Materialism and SCSS print books are mailed out every 1-4 months and there are no ebooks for these subscriptions. · Not all Haymarket Books titles released in print formats are released electronically. · Non-US subscribers will be charged an extra $20/month for international shipping.